Joanna Haigood’s creative work focuses on making dances that use natural, architectural, and cultural environments as a point of departure for movement exploration and narrative. We walk across the Great Lawn at Jacob’s Pillow Dance Festival for this evening’s performance of Invisible Wings. We are walking away from the theaters. It’s August and it’s getting dark earlier. People around me have heavy sweatshirts, comfortable shoes, and are applying bug spray. We hand our tickets over and get our hands stamped. Mine says “Livingstone.” No one in my group of four has the same name stamped on her hand. We walk down the road, even further now from the theaters into a big meadow. Two white men sit on a horse drawn wagon, one plays the banjo. Then, an African American woman dressed in white tells us what she wants us to remember, to remember the people who were here before us. She tells me and the other people with Livingstone stamped on their hands to walk into the woods, explaining that the Livingstones owned a plantation with a large slave population. I am separated now from the people I came with. I step into the woods. We all fall silent. The trail is rough cut; some torches illuminate the path, but it is very quiet. Somehow, we can’t hear the sounds from the road. An African American woman, dressed in a long dress and apron, startles me as she appears suddenly and then hides behind a tree. A black man leaps up from a rock, perches on a tree limb and takes off in a new direction. We hear the sounds of a cowbell. And in the distance, the baying of dogs. We come to a clearing in the woods; it is set up as a kind of marketplace. There are several African American women sitting on rustic benches. They are all dressed in plain linen and cotton dresses, headscarves and aprons. They call out to us when we arrive, offering to sell us brooms, lemons, coal. They sing and laugh. A white man walks a black woman through the crowd toward an auction block. The other women stop talking and singing to watch as she’s led away. From behind us, another African American woman offers to sell us shoes; shoes that can help us run. Eventually, we move to a small barn and take seats on hay bales arranged as risers. All of the audience groups meet here. The side of the barn is removed so we can see inside the space. There’s a long platform built out along the length of the peak of the roof, ladders going up and down the edges of the barn, and a large square platform in front. On this site, over the next hour, we see slaves emerge from false bottoms of horse drawn wagons, we look up to the roof of the barn to witness an African American mother and child forcibly separated as a white man prepares them to be sold. Inside the barn, we watch two white couples, one slave owners and one abolitionist, engage in a tensely stylized Virginia Reel. We observe a white man lust after a black woman, as his white wife looks on. Later, we see that same white woman twirl and arc through a solo with a cracking bullwhip. We notice a black man held down in the earth by a white man, and watch in horror as his head is placed inside an iron cage with a cowbell on it. We act as audience for the performance within the performance of William Henry Lane, also known as Master Juba, in a dance competition with “Jim Crow”—a white man in blackface. We study an African American woman we’ve come to know as Mary, a woman we saw running in the woods and heard the dogs pursuing, and we watch her fly to freedom. 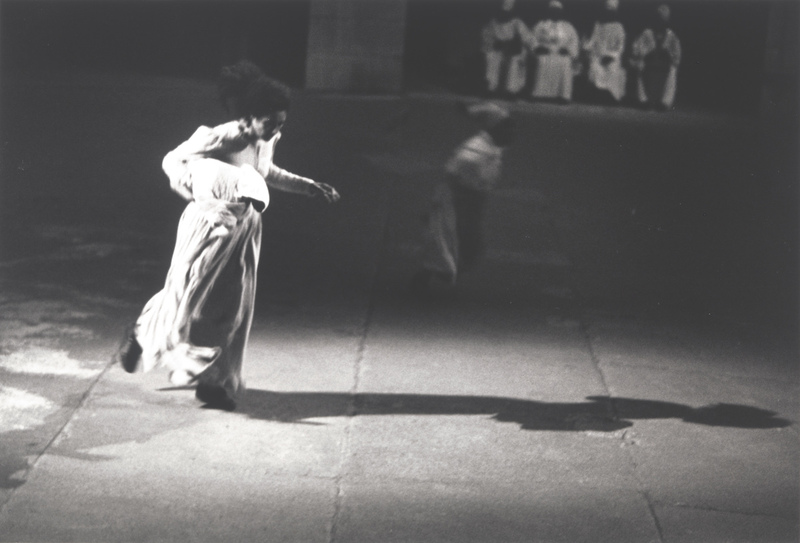 In 1998, choreographer Joanna Haigood presented a gift to Jacob’s Pillow and the audience when she and her collaborators—dancers, singers, a storyteller, designers, and a sizable production team—premiered Invisible Wings. The work, which was restaged for the Pillow’s 75th Anniversary, literally took the audience on a journey. Joanna Haigood identifies herself as a site choreographer. She is the artistic director of Zaccho Dance Theatre, based in the San Francisco Bay area. Her creative work focuses on making dances that use natural, architectural, and cultural environments as a point of departure for movement exploration and narrative. Her main creative collaborators, also from California, were Linda Tillery, the director of the Cultural Heritage Choir and Dianne Ferlatte, a professional storyteller. 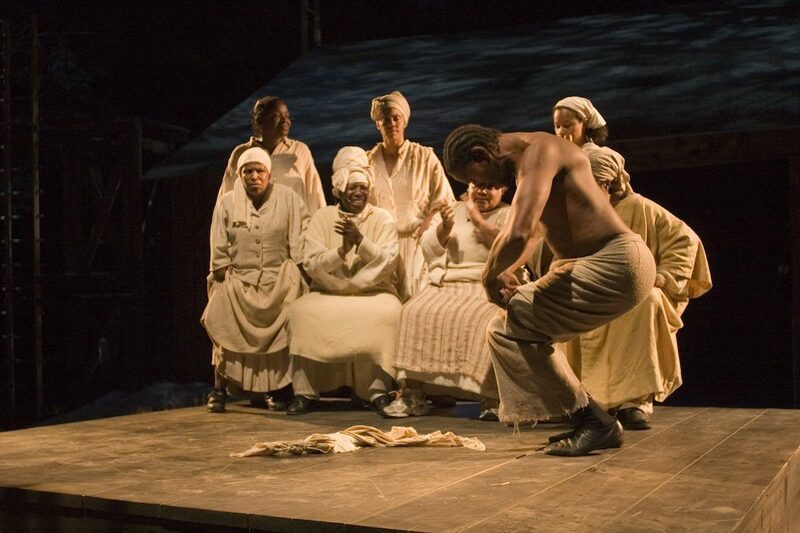 The Cultural Heritage Choir performs slave songs, work songs, and spirituals. Ferlatte has spent more than twenty years researching, collecting, and telling the stories. The majority of the stories reflect the histories, struggles, and successes of African Americans. Haigood’s choreographic investigation uncovered a little documented history of Jacob’s Pillow as one of the stops on the Underground Railroad. To bring that sense of sanctuary, as she termed it before even knowing why, into the foreground is an extraordinary feat of historical archaeology. 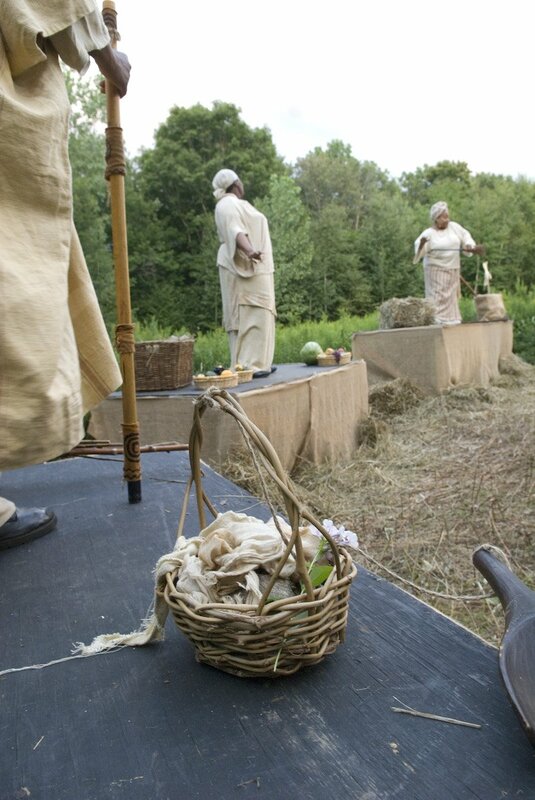 An aftereffect of Invisible Wings was the placing of Jacob’s Pillow on the Upper Housatonic Valley African American Heritage Trail. This is no flimsy collection of sites—it includes not only the birthplaces of W.E.B. Du Bois and James Van Der Zee, but also celebrates Elizabeth “MumBet” Freeman. Freeman pioneered the fight against slavery and contributed to Massachusetts’ 1781 decision to abolish slavery. This resonates; it connects the past and present. It connects the bodies of people.